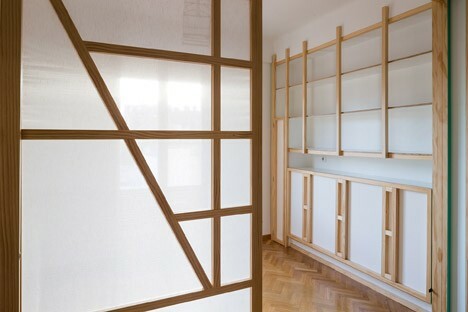 Wooden slats and white surfaces shape both the aesthetic and function of this all-in-one interior design, becoming part of the visual language of the walls while also revealing which pieces and parts can be pulled down for additional uses. Following a compelling previous project involving trap doors and secret fixtures, this new design from Madrid-based Elii Architects takes a similar approach to a new challenge and smaller dwelling. 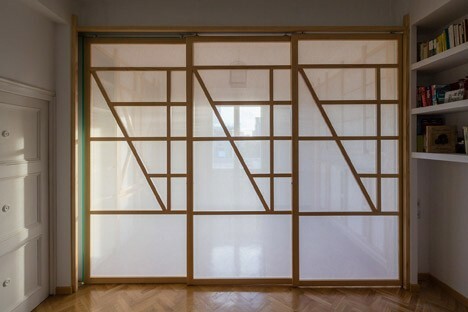 The 250-square-foot space in question is screened off by translucent panels tied into the visual language of the rest of the room. 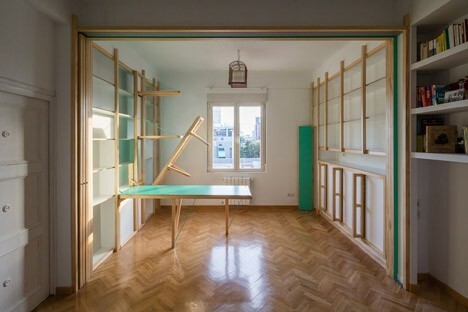 These slide open to reveal an area with a single central window on one wall and flanked by secret furnishings and both open and closed storage spaces. 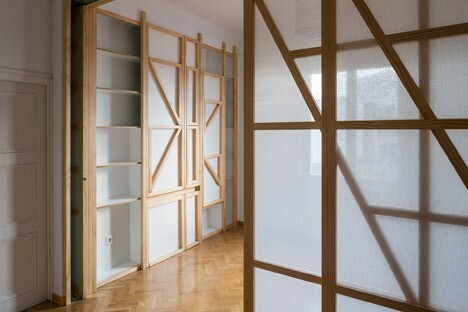 And yet, part of the refreshing surprise of this solution is perhaps the actual lack of secrecy – the arrangement of boards and panels along the walls hint at their interactive nature.